We’re so excited about Ann Martin’s new book The Art of Quilling Paper Jewelry, we just had to share a sneak peek at one of her projects. ABOVE: If you enjoy receiving admiring glances and surprising people, this lightweight, but sturdy necklace fills the bill on both counts. No one will believe it’s made of just paper and glue! This flower looks quite different from the way I first envisioned it, but that is often the way of quilled projects. The relaxing process ensures plenty of time to rearrange shapes before deciding on a final design. My initial idea was to create a daisy-like bloom with petals encircling the center coil, but before half the petals were made, I realized I was happy with it just as it was. The addition of one longer petal breaks up the repetition and completes the design. Make it this evening and wear it tomorrow! * Metallic edge quilling paper is brilliantly shiny and decidedly strong when rolled. Readily available from online quilling suppliers, such as Custom Quilling, Quilling Supply Plus, and Whimsiquills, choose your favorite color combined with a silver, gold or copper edge. A torn strip end blends better than a bluntly cut end when making coils. Apply glue with the tip of a pin or paper piercing tool to help minimize the amount. Quilling requires less glue than you think! Conserve paper by joining short strips to make longer ones: apply a tiny amount of glue on a torn end and overlap it with the torn end of another strip. When the glue has dried, roll as usual. If you don’t have a set of wooden dowels or a ring mandrel on hand, use substitute dowels with diameters that are a close match to the measurements specified in the instructions, such as a pencil, pen, glue tube, or wooden spoon handle. 1. Make the center modified closed loose coil, which measures a bit wider than ¼” (6 mm) when completed: Tear one end of an 11″ (28 cm) strip of quilling paper. 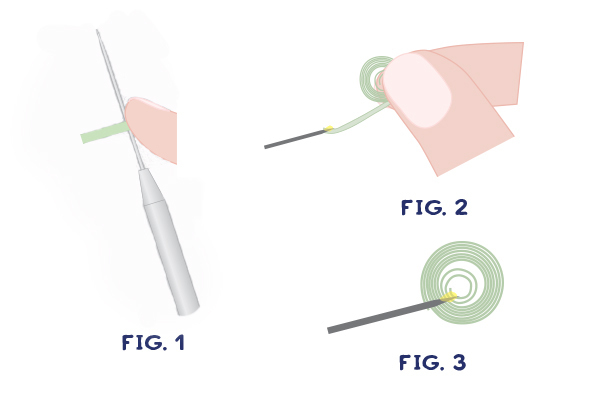 Beginning with the cut end, roll the strip around a paper piercing tool, awl, or round toothpick with the thumb and index finger of one hand while holding the tool steady with the other (Figure 1). (Note: You may wish to dampen your fingers to help grasp the paper.) Allow the coil to relax and slip it off the tool. Holding the flat surfaces of the coil between thumb and index finger, gently pull the loose end with your other hand, unrolling the coil. Without disturbing the coil center, re-roll the strip by hand, tightening it to create a thickened edge. 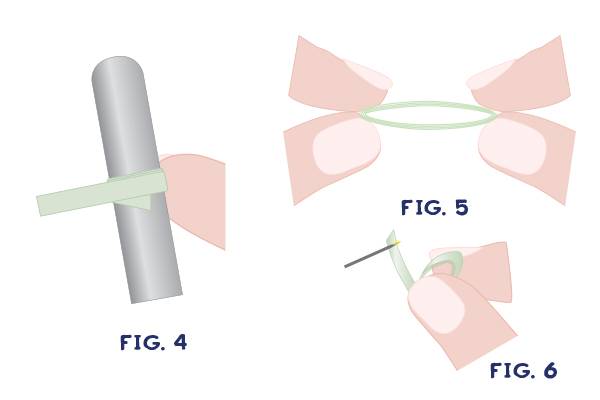 Glue the torn end in place (Figure 2). Apply a thin layer of glue to the back of the thickened edge (non-metallic side) to preserve the shape of the coil (Figure 3). 2. Make 5 matching shaped marquise ring coil “petals” that have a 1″ (1.3 cm) finished length. For each, roll a 12″ (30.5 cm) strip (approximate) around a ⅝” (1.5 cm) dowel six times (Figure 4). Slip the coil off the dowel. Hold it securely and tighten the strip, if necessary, by pulling gently on the end. Pinch a point near the interior starting end and a second point opposite the first point to create a marquise shape (Figure 5). Glue the exterior strip end (Figure 6) and trim the excess paper. Grasp the points of the marquise coil with the thumb and index finger of each hand; curve one point upward and the other point downward to create a petal shape (Figure 7). Glue the interior loose end in place by applying a tiny amount of glue with the tip of a pin from the non-metallic back side of the petal so the shine is not accidentally scratched (Figure 8). 3. Make one large shaped marquise ring coil petal in the same manner as the first five petals by rolling a 15″ (38 cm) strip (approximate) around a ⅞” (2.2 cm) dowel five times. The petal will have a finished length of 1¼” (3.2 cm). 4. Glue two 7½” (19 cm) strips together lengthwise: apply a thin coating of glue along the length of one strip, then place the other on top with the metallic edges facing the same direction, and press the strips together. Run a damp cloth along both sides of this doubled strip to wipe away excess glue. Let the glue dry completely, then curve and cut the strip into pieces that fit inside each petal. 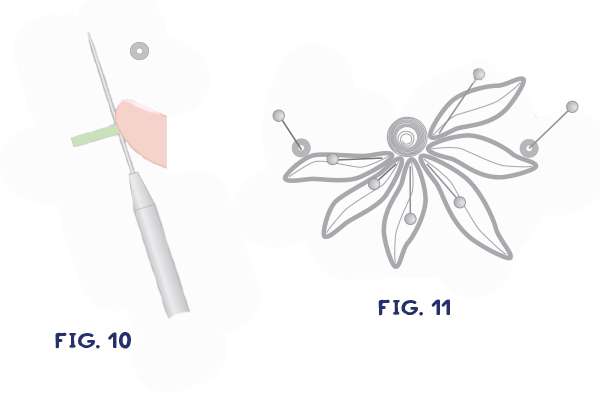 Apply a bit of glue to both ends of a piece and use tweezers to insert it into a petal (Figure 9). Repeat the process for the other petals. 5. 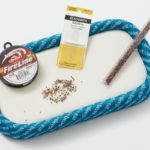 Roll a 3″ (7.5 cm) strip around the tip of a paper piercing tool, awl, or round toothpick to make a tight coil with an inner hole wide enough to insert a jump ring (Figure 10). Make 2. 6. Use tweezers to arrange the flower center, petals, and tight coils on a non-stick work board and glue them together. Use pins to hold in place, if desired, while the glue dries completely (Figure 11). 7. Turn the pendant over and apply a small dot of glue with the tip of a pin or paper-piercing tool on each join as reinforcement. When the glue has dried, brush a thin coating of fixative on the back surface, if desired. Allow the glue and fixative to dry completely, preferably overnight. Note: Do not coat the front of the pendant with matte fixative as it will reduce the shine of metallic edge paper. 8. 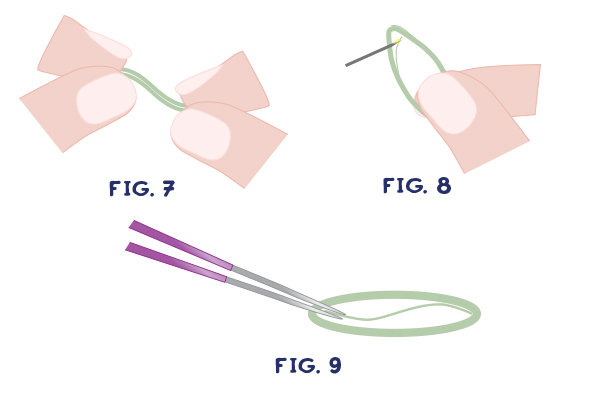 Use two pairs of jewelry pliers to twist open a jump ring and slide it into one of the tight coils (Figure 12). Slide one end of a necklace chain onto the jump ring. 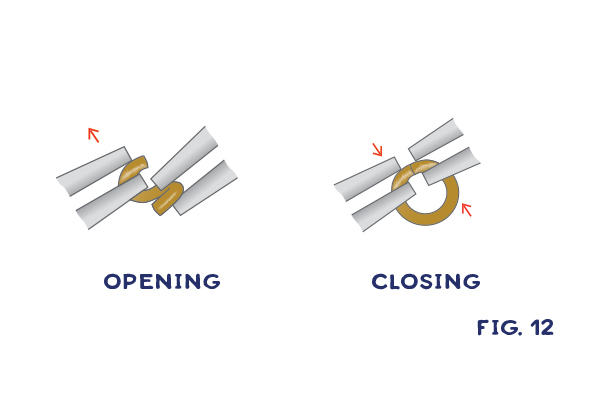 Reverse the twisting motion to close the jump ring. Repeat the process with the second jump ring. Bookmark this page or receive this project as a downloadable PDF. TIP: To give quilled jewelry the look of metal, use silver, gold, or copper edged papers. They’re beautiful and readily available from online suppliers, such as Custom Quilling, Quilling Supply Plus, and Whimsiquills. 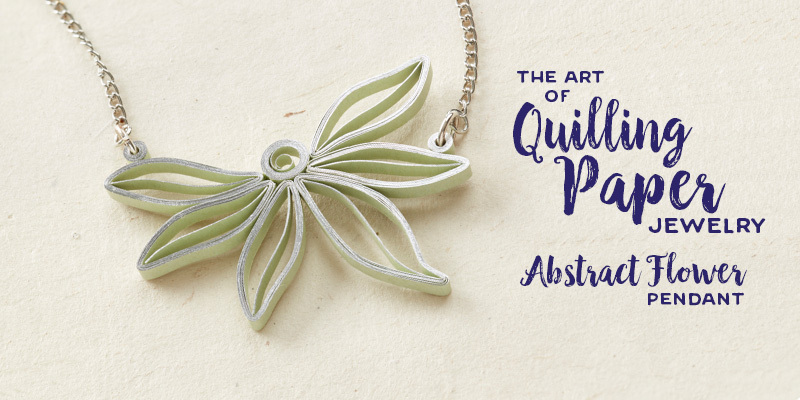 For more quilled jewelry designs and tutorials, check out The Art of Quilling Paper Jewelry. I’ve never done quilling but this looks so pretty I think I’ll give it a go. Does it matter what sort of paper I use? Thank you for a free pattern to see how I get on. Hi Hazel, I hope you will give it a try! I recommend practicing with narrow strips cut from a sheet of ordinary printer paper first… this will get your fingers used to rolling and shaping paper. Then use metallic edge quilling paper that you can obtain from any of the quilling suppliers listed above under the Materials and Tools section. Metallic edge strips are quite inexpensive and you’ll be able to make at least several pieces of jewelry from one package of strips. I’m glad you like it, Eliane, and I hope you’ve had a chance to make the necklace.